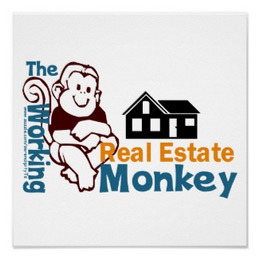 Don’t monkey around with Real Estate without a marketing plan! Developing a successful real estate marketing plan is impossible nowadays without modern marketing tools. However, besides these tools, there are plenty of traditional real estate marketing methods that still work great and should be combined and synchronized with online marketing for greater benefits. One of the biggest mistakes in any marketing is to rely on just one method of advertising like only distributing printed marketing materials or promoting your business through social media only. If you have already read the article about real estate marketing ideas you know that things are changing fast. Online companies may go in and out of favor in a few months. Putting all your eggs in one basket is convenient but provides no security at all especially if you build your business on one of these unstable platforms. Hundreds of “easy to use” social websites, e-commerce solutions, and templates are created each year for small business owners. Most of them have only sets of most common features and don’t allow custom additions limiting your options in building an automated website that will be in sync with your marketing plan. Why would you want to spend time and money on something that you don’t even own? You need your very own online tool where you will be in control over all aspects of it! You need your own website and not just 3 pages one with your bio, awards, photo and useful links like most of the real estate agents have but one really awesome automated solution that will act like your personal real estate virtual assistant! 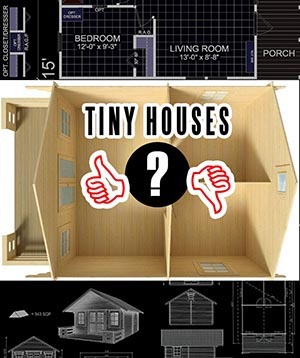 This is how the best real estate websites are designed. They are designed to become assets for their owners along with customers’ lists. 1. Your website should be the very fist and the most important component of your real estate marketing plan! Your Facebook page, Google+, LinkedIn, Tweeter, Squidoo and other web 2.0 properties should play an important role in supporting your main real estate website. Just bear in mind that web 2.0 properties can implement unwanted changes or be gone in a blink of an eye at their owners’ will. In addition to that, you will need to “put some boots on the ground” and use offline marketing (see real estate marketing ideas article) to cover different demographics, get more contacts for your email database, let customers know about your online presence through printed marketing materials, work with FSBOs and so on. The third part consists of email marketing which should rely heavily on the content of your website and email addresses that you will be collecting via offline marketing and website as well. In the beginning, while starting development of your website and beginning to collect email addresses many young agents dive into “Social media” overlooking a few traditional prospecting methods that are complementary to online and offline marketing. Call friends and people you know well. Even if you are connected with them via social networks it doesn’t mean that they know exactly what your needs are and how they can help. A few genuine friends who care about you and feel that you care about them as well are better than thousands of social network names of friends of friends. Establish partnerships with local businesses. Do you go frequently to a nice restaurant? Do you know remodeling contractors? Include them into your real estate marketing plan. For example, if you love a particularly popular restaurant in town try to partner with the owner. Pass their coupons during your open house events and in return, they may distribute your marketing materials. Contractors often do remodeling or repairs for homeowners before they put their homes for sale. Team up with them and for mutual referring of homeowners. You won’t believe how often your friends and relatives don’t put two and two together and refer their neighbor’s Realtor forgetting about you. Your web presence is crucial for bringing new business and getting referrals from past clients. Home buyers are clearly taking control and doing their research online first before dialing a number, so if you are selling a home or looking for a buyer to sell your hottest listing, your website needs to come up on the first page for a certain target search criteria. Of course, to be on the top of the first page of Google is not easy and requires a clear understanding of how and what you should do in order to achieve this goal. You may ask: “Why should you concentrate much effort on acquiring leading search positions for your website?” Because you need to build your real estate marketing plan around something that has the capability to represent you 24/7 and automate many of time-consuming tasks! Trying to get listings s from FSBOs is a short term strategy which requires daily calls and a lot of personal visits to get a listing. Having an automated website that is connected to your other online and traditional marketing tools is how top producers get the constant stream of high quality leads without chasing FSBOs or wasting time on driving fake “home buyers”. So, if you first launched your website at the dawn of Internet or are still relying on passing notepads and other real estate marketing materials in your neighborhood as your only marketing plan, it is time to update your overall real estate internet marketing plan and get on the social network bandwagon – it is not too late! The Internet has shifted dramatically and with Google latest algorithm updates certain old tricks that were advertised by professional companies to optimize your web presence have delivered an adverse effect in pushing certain websites way back in the search results. To summarize it, there are no shortcuts to creating great relevant content for your website to attract visitors and position you among the best real estate websites for your target market. Your website should be in a way an online archive of your real estate newsletter – full of information that you have been delivering to your clients year after year to educate them about relevant real estate topics, answer their questions, or rant about hottest issues. Your virtual online presence now means the difference between attracting new clients and converting visitors into buyers and sellers, or losing them to web-savvy competitors. Consumers today expect from the best real estate websites to focus on helping them to make an informed buying decision – not list all your earned real estate designations and brag about the number of sales you had last year. The recent focus group study focusing on real estate internet marketing revealed that consumers expect agent’s help on each stage of the buying process via relevant online content while viewing sales professional as adding less and less value to the decision making process. Position yourself as an expert in your field, as an educator, helping prospects to solve problems and find answers to their questions and this will bring a steady flow of clients when they are ready to sell or buy. Offer a list of affordable handymen and contractors for fixing appliances or remodeling. If you’ll help people to save money and avoid frustration through their service you will earn their trust. Understanding search engines algorithms is a necessity and will help to position your website or blog properly. You can rely on the advice of experts in real estate internet marketing, but it will be you or your assistant who would fill your site or web blog with relevant content every week. The trick is to find out the exact keyword combinations that home buyers or sellers are using to find what they need. There should be no guessing game here. All big companies with teams of professional internet marketers use it these exact keyword combinations to optimize their content pages to be first in the search results. So, educate yourself by researching keywords and search phrases that relate to the Real Estate market via Google free tool called Keyword Planner (you may find it at adwords.google.com). It will give you an exact idea of what to home buyers or sellers type into the search box. Use these exact keywords combinations for your article titles and throughout the articles. Don’t chase 2 or even 3-word combinations with a lot of monthly searches like “Miami real estate”. You have no chance to compete on this level. Focus on the local neighborhood names with fewer searches per month and less competition. It is better to have 10 articles about 10 neighborhoods with 100 searches per month each than 10 articles about the whole city with 8,000 searches per month. Talk to your clients and ask them what would they type into the search box for their dream home in your neighborhood and then use these results when writing your weekly (or daily) posts. If you are farming in a certain geographical area, use key phrases that describe your unique area which would help you to stand out among the competition in your niche. Besides real estate, feature and review local businesses, restaurants and shops: people are buying into a lifestyle, a community with all its amenities, and not just floor plan and square footage. Describe it in a way that shows the prospective home buyer the kind of life they would have for their family if they move—picture a dream, awaken their imagination! The most effective real estate marketing ideas appeal to emotions and promote a dream. What you put on your homepage and other pages on your website is essential not only for search engines’ visibility but also because it may make other sites link to you. Good content provides value and this, in turn, attracts links from other sites which will help rank your website higher. You start looking like an expert in your area and it gives you more exposure in the field. Sometimes even brief mentioning by an outside blogger with a link to your website can bring an enormous spike in traffic. This I why you should write outstanding in-depth articles about real estate topics related to your geographical farms or other aspects of real estate. Be active in your industry blogs and participate in discussions, providing valuable expert opinion and information – that will bring additional traffic to your site. It is like door-knocking with real estate marketing materials but in a new age of the internet that keeps your name upfront and actually requires less effort. Video tours of your listings and webinars on hot topics can be powerful real estate marketing tools. Video allows viewers a chance to meet you, hear you and begin to trust your opinion before they call you or decide to list with you. It helps to pre-sell your services for a fracture of the cost you would pay for TV commercials or an ad in a high-gloss printed real estate marketing publication and it makes it incredibly cost-effective. Provide information that helps people to make an educated decision and you would be their trusted ‘friend in real estate’ that everyone wants. How many people really ‘LIKE’ you on Facebook? When you combine real estate newsletters, postcards and other printed materials with a solid web presence and social media tools, it helps to really pack a punch and put your real estate internet marketing on a completely new level. According to Dave Evans, an author of Social Media Marketing: An Hour a Day, the types of social media you choose will vary greatly depending on the type of your business and your personal style. Don’t grab everything at once, as you would fail. Try to prioritize and add on in the future, as you become better at it and understand your clients’ needs and wants. When you start simply by creating a business Facebook page, to keep your personal and business personalities separately, and start posting a short description of new listings daily and answer questions, you’ll realize that we, humans are really good in socializing so it comes naturally. Soon you’ll be ready to add twitter account to send short comments (or real estate jokes) daily, email your real estate e-newsletter to your Gen-X prospects instead of mailing printed version and wonder why haven’t you started all that wonderful real estate internet marketing earlier.